What felt like a lot longer than a week saw some pretty solid progress! After (finally!) getting all the details of the contracts sorted last week, myself and the main contractors signed the JCT Minor Works With Design contract along with what seemed like stacks of schedules containing an amount of detail any lawyer would be proud of. The famous Lord of the Rings quote is actually quite apt for the small army of workers that came on site on Monday. Within no time the garages of important things we had stored like broken bikes, mouldy mattresses, and unfortunately my beloved bright yellow go-kart were all skipped so we could knock down the existing structure. 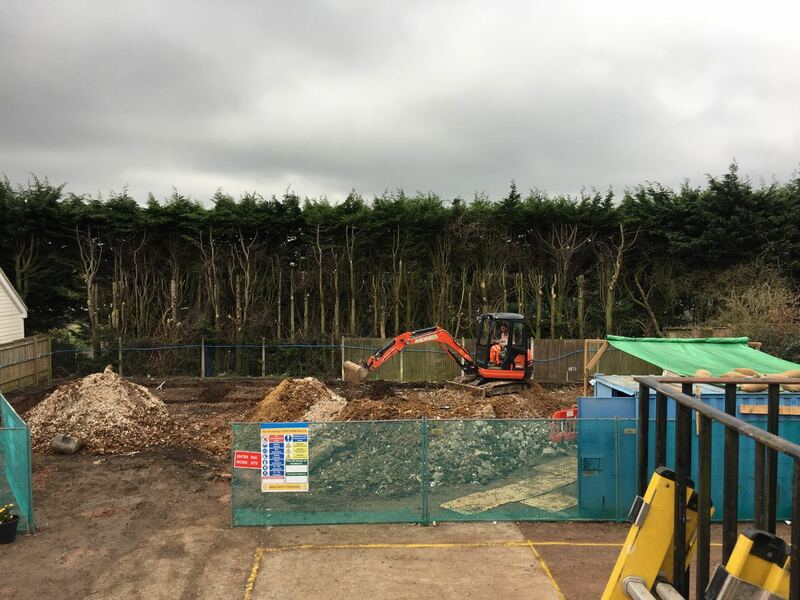 Don’t expect any swinging wrecking balls here – demolition was a surprisingly surgical process, removing bricks individually to recycle them for later, all except for the concrete slab it sat on, taken out with a mini-digger. A lot of waste to be taken away this week including by this ridiculously powerful truck. 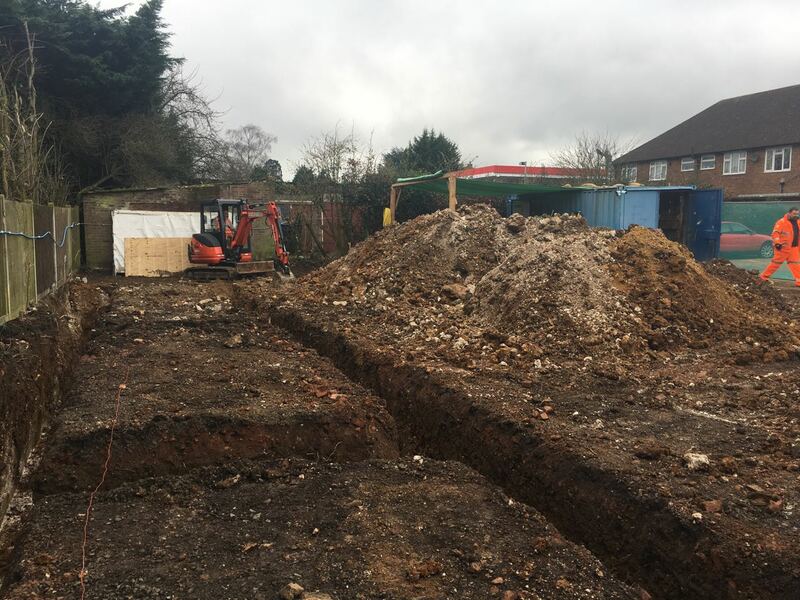 Mid-week came the first real test of my limited technical knowledge, the surveyor’s setting out – this involved setting out where exactly the building footprint would be, foundations would be dug and at what level the floor would be. As with starting any new business, you’re dealing with people who quickly know a lot more than you about aspects of your own project, but by firstly acknowledging the gaps in your knowledge, educating yourself and asking a barrage of detailed questions you can get up to speed and even challenge the experts. Now we could finally start digging! 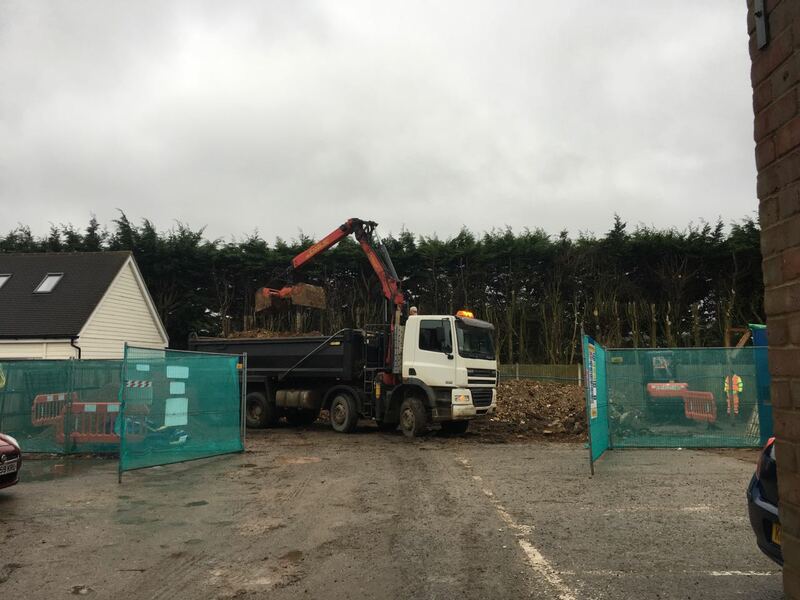 My hopes of operating the digger were promptly buried by the site foreman under the tonnes of soil, clay and chalk dug up in no time by the laser-focussed digger driver, sharpened by the 20 pack of Marlboro he got through each day. Digging trenches down to 1.5m we thankfully hit a uniform bed of chalk common to our area on which to pour concrete for the building to sit on. 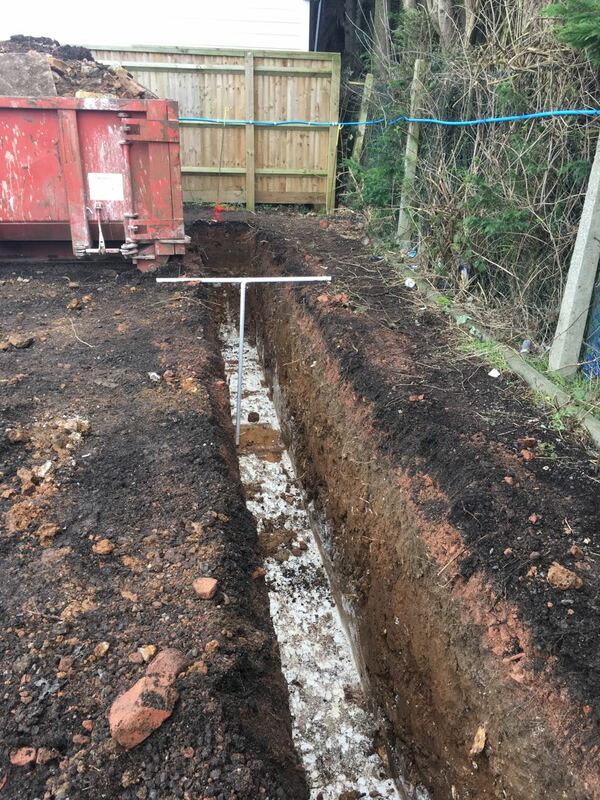 This was a big relief as this is the most uncertain period of the build, when you don’t know what you can’t see… and also meant the hours I spent digging trial holes myself with a spade weren’t in vain! So at the end of week 1, and with half the foundations dug, we are ahead of schedule. More of the same next week before the big concrete pour!